The Supreme Court has opened up British citizenship by double descent to all children born between 1949 and 1983 to British women. 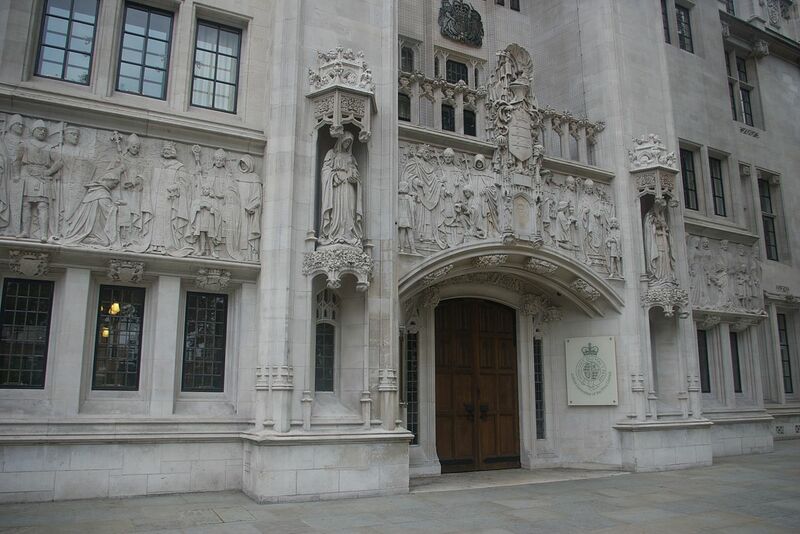 Delivering a judgment which makes no attempt to disguise his academic interests as a historian, Lord Sumption delivered a simple solution to a question of statutory interpretation that has been described as “impenetrable” by the leading authority on nationality law (with whom the Inner House agreed) and “paradoxical” by the Supreme Court. The case is Advocate General for Scotland v Romein  UKSC 6. British nationality law was from its inception until 1983 discriminatory towards women. Prior to 1983, British citizenship could only be passed to the next generation born abroad through the male line. This was remedied prospectively, but not retrospectively, by Parliament with the enactment of the British Nationality Act 1981 which commenced on 1 January 1983. It was not until 2003 that Parliament attempted to retrospectively tackle this historic gender discrimination by opening up the possibility of an application for registration as a British citizen under the newly inserted section 4C of the BNA 1981. Such an application for British citizenship by descent through the female line must now be dealt with on the assumption that the law had always provided for citizenship by descent from the mother on the same terms as it provided for citizenship by descent from the father. Between 1949 and 1983, children born outside the UK to British citizen fathers who were also born outside the UK (i.e. fathers who were British “by descent” only) could be registered at a British consulate within one year of their birth (or later subject to the Home Secretary’s discretion) to ensure the child’s acquisition of British citizenship under 5(1)(b) of the British Nationality Act 1948. This form of citizenship, passed from a second generation to a third generation, is sometimes known as citizenship by double descent. The gender discrimination in this scenario is clear. If the father was British by descent, consular registration of the child’s birth was possible, and citizenship would be transmitted to his child. If only the mother was British by descent, consular registration of the child’s birth, even if it were possible as a matter of fact, would have been of no effect, and it seems likely that the majority of British consular staff, acting entirely properly under the law as then drafted, would simply have refused to register the birth on the basis that the mother was not able to pass her citizenship on to her child. This was the case for the respondent, Ms Romein. Ms Romein was born in 1978 in the USA. Her mother was a British citizen by descent, having been born in South Africa to a Welsh father and a Scottish mother. Ms Romein’s father was a US citizen. Had he been a British citizen as opposed to a US one, it would have been possible for Ms Romein’s birth to be registered at a British consulate within a year of her birth, and the fact of consular registration would have had the effect of automatically conferring British citizenship on Ms Romein. But consular registration for Ms Romein was (quite properly at the time) not permitted by consular staff, despite enquires having been made by her mother with the British High Commission, and Ms Romein was unable to acquire British citizenship. She would later become the only member of her immediate family other than her father not to have done so. In 2013, an application for registration under section 4C was made on Ms Romein’s behalf. It argued that, but for this historic gender discrimination, her mother would have registered (and would have been able to register) her birth at a British consulate, and on the assumption that consular registration would have taken place had the law permitted it at the time, Ms Romein would have become a British citizen. On this basis, it was argued that she met the requirements of section 4C of the BNA 1981. The Home Office refused the application and so began the litigation which ended with this Supreme Court decision. Although the terms of section 4C are complex, the general principle is reasonably straightforward. If someone can track their way through the historic legislation and show that they would have become a citizen had the law not discriminated against women (specifically, their mother), they will (subject to certain other requirements, discussed below) qualify for citizenship. For those reliant on consular registration as the route to citizenship however, section 4C created a problem: no consular registration would have taken place, and in Ms Romein’s case did not take place. The Secretary of State, in her defence of the litigation, was unwilling to countenance a hypothetical scenario whereby consular registration would have taken place and was unwilling to consider evidence adduced from Ms Romein’s mother in support of that proposition. Looked at in that way, one might question the utility of section 4C if it were to simply preclude all individuals in Ms Romein’s position from ever applying for registration as British citizens. “A result so paradoxical clearly calls for scrutiny” said Lord Sumption. And scrutinise this paradox he did. The past is done, and cannot be undone. … the only way in which effect can be given to section 4C(3) is to treat the registration condition in section 5(1)(b) as being inapplicable in cases where citizenship is claimed by descent from a mother. And thus the Supreme Court has opened up the possibility of British citizenship to as yet unknown numbers of children born abroad to British mothers, also born abroad, and whose own citizenship was acquired by descent. The Home Office has almost immediately updated the relevant guidance document on registration, coyly describing the change as “clarification on the application of Section 4C(3A) of the British Nationality Act 1981”. If you asked the Home Secretary how many people this decision will affect, the answer would probably be that it is potentially of application to half of all grandchildren born before 1983 of men who emigrated from the UK to countries outside Ireland and the Commonwealth (that having been her argument during the litigation). That sounds like a very large number of people, though whether truly that many will now seek to assert a claim remains to be seen. From my own firm’s experience, relatively few individuals are, in practice, likely to avail themselves of this provision, but that is based purely on the small number of individuals who have approached us in the past. Maybe now with the greater publicity generated by the Supreme Court, more people will come forward to assert a claim to British citizenship. On the other hand, many potentially affected people will have already established their lives elsewhere and may have no desire to apply for British citizenship and swear allegiance to the Crown. Time will tell. Of course, the Supreme Court’s judgment does not change the fact that an application must still be made to the Secretary of State for registration as a British citizen, subject to the good character test. If successful, a citizenship ceremony must be attended and an oath of allegiance sworn. Should an application be refused based on good character alone, look to another recent historic gender discrimination case, that of R (on the application of Johnson) (Appellant) v Secretary of State for the Home Department (Respondent)  UKSC 56. This case concerned another facet of gender discrimination in British nationality law, that of illegitimate children of British citizen fathers born before 2006 being ineligible for British citizenship. In Johnson, the Supreme Court held that the imposition of the good character requirement on applications for registration as British citizens by people in that category breached Article 14 of the European Convention on Human Rights when read in conjunction with Article 8. A similar argument could well be engaged in section 4C cases, though this is as yet (to my knowledge) untested in the courts.